Stinging insects like wasps, yellowjackets, and hornets can be a true nuisance because they often build their nests near dwellings and can be very aggressive when threatened. Their bites and stings are painful and can be life-threatening to people allergic to the venom. By learning how to distinguish between these pests and how to recognize their nests, you can protect yourself from being attacked. There are two kinds of flying insects commonly referred to as wasps: social and solitary. Social wasps like the paper wasp, hornet, and yellowjacket, live in large colonies with one queen. Common traits include narrow wings that fold longitudinally when at rest; larvae reared on dead or living insect prey; nests constructed of recycled wood fibers; and the ability to sting and bite repeatedly. Paper wasps are about 1 inch long and have long legs. Their bodies range in color from reddish-orange to black in color, often with yellow highlights. Paper wasps build open, umbrella-shaped nests, often found suspended from eaves or window casings on dwellings. Colonies number fewer than 100 wasps. European hornets average 1.5 inches in length with brown bodies and yellow-orange stripes. They are less common than the bald-faced hornet, which is about 3/4 of an inch long with a black body and gray bands. Hornets are famous for their massive, enclosed nests which can be seen hanging from tree branches or other sturdy perches. Hornet colonies usually contain more than 100 wasps. Yellowjackets are the smallest of the bunch, averaging about a half-inch in length with yellow markings that people often confuse for honeybees. Yellowjackets also make enclosed nests, but theirs are found below ground and may be home to hundreds of insects. Paper wasps, yellowjackets, and hornets produce new colonies each year in temperate climates; only the mated queens survive the cold winter months, tucked away in sheltered places. The queen emerges in spring, chooses a nest site, and builds a small nest in which she lays the first eggs. Once the first generation of workers matures, these wasps will expand the nest for succeeding generations. In late summer or fall, the old queen dies, and a new one mates before her siblings die off. The old nest usually degrades over the winter. Mud daubers and digging wasps are called solitary wasps because each egg-laying queen builds and occupies her own nest. Solitary wasps aren't aggressive and will rarely attack and sting, even if their nests are disturbed, and their venom isn't toxic to humans. Mud daubers are about 1 inch in length with a black or blue-black body and a long, slender waist. Digging wasps, sometimes called cicada killers, are about 1.5 inches long with black bodies and yellow highlights. In general, ​wasps can be distinguished from bees by their lack of body hair and thinner, elongated bodies. They have six legs, two sets of wings, and segmented bodies. All social wasps are aggressive by nature and will attack if you disturb their nests. During the late summer, when colonies are at peak activity, these flying insects are especially aggressive and may pursue you if you come too close to their nests. This can be a real problem with yellowjackets, whose underground nests are almost impossible to detect by casual observation. Yellowjackets are a particular problem around picnics, cookouts, and fruit trees because they're attracted to sugar. Swat at that insect sipping your soda and you risk getting stung. Yellowjackets feasting on fruit that's fallen from a tree can become "drunk" on the fermenting sugars, making them especially aggressive. They won't just bite and sting; they'll pursue you if threatened. If you're stung, wash the area with soap and water to remove as much venom as you can. Cold compresses can relieve swelling, especially for multiple stings or bites. But you'll still be left with nasty red welts that are itchy and uncomfortable. Experts say any name-brand insecticide spray designed to kill wasps or hornets or a soil-based treatment for yellowjackets should be sufficient. 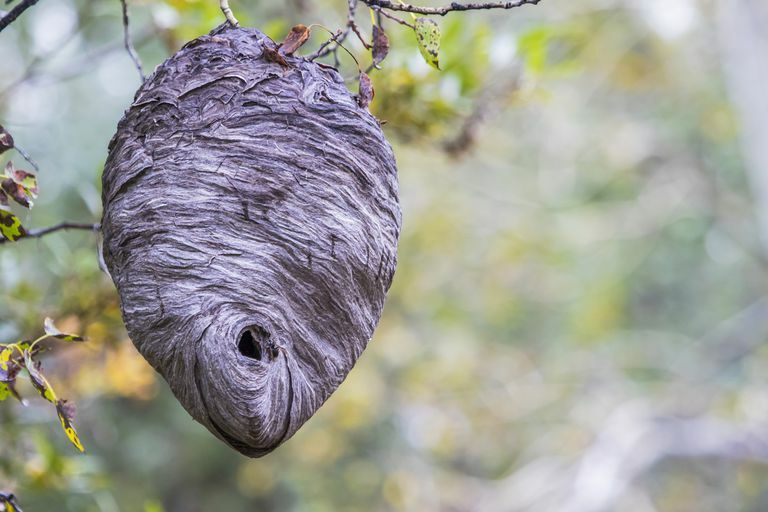 Paper wasp nests are the easiest to destroy yourself because they tend to be fairly small, but hornet nests can be very large and should be removed by a professional. Yellowjacket nests can also be hard to destroy because they're underground. If you do choose to do the job yourself, wear long sleeves and pants made of heavy fabric to protect yourself from stings and bites. Follow the directions on the insecticide container and maintain a safe distance from the nest of 15 to 20 feet. And apply the pesticides at night, when the insects are less likely to be active. Wait a day before removing the nest to be sure no living insects remain. Do not attempt to destroy or remove any nest if you are allergic to wasp, yellowjacket, or hornet stings. Likewise, if the nests are more than a few inches in size, it's best to call a professional to have the infestation removed. Cartwright, Megan. "Social Stingers." Slate.com. 10 August 2015. Karren, Jay B., and Row, Allen H. "Wasps, Yellowjackets, and Hornets." 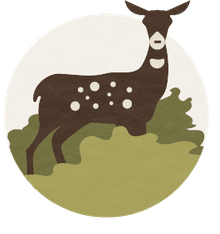 Utah State University Extension. Revised May 2000. Potter, Michael F. "Controlling Wasps, Hornets, and Yellowjackets." University of Kentucky College of Agriculture. Which Is More Dangerous: Venom or Poison?